This is my second review of the book in the blog and certainly not the last. As I grow every single day there can be more and better understanding of the book and the complex characters, to which someday I can completely relate to. When my sister asked me what I wanted from the US. I said, I wanted a DVD of the movie Mrs. Dalloway based on the novel by Virginia Woolf (My favorite author) of the same name. I am so fascinated by the characters of this novel that I wanted to see the visual adaptation of the same. And believe me the movie is no less exciting than the book. It has managed to capture the emotions, the insanity, depression and intimacy in the novel so very well. In spite of the movie ing me into more dullness than what already existed, I enjoyed the visual treat. 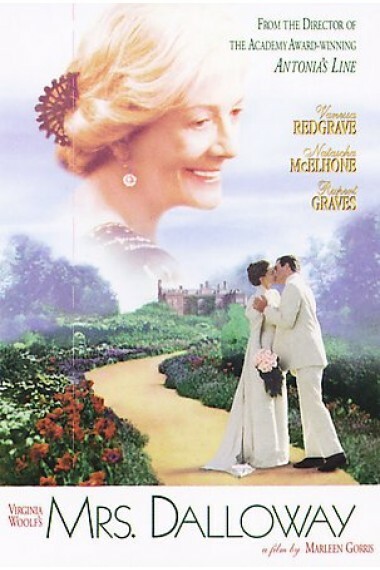 The movie, unlike the novel tries to make the ending more clearly to the audience; Mrs. Dalloway is not a novel in conventional sense. If you may ask me what the story is, explain me in a line? Then I would never be able to do it. Mrs. Dalloway has so many things. Even though if broadly seen, it deals with insanity and death, it holds much more thought due to the writing style. Here characters are defined through their acts in the present and past. VW tries to say that one person cannot be defined in a sentence. For example Me - I am a different person every time based on who is the viewer. My family knows a "me", my friends know me differently and among this there again can be several sub categories, depending on who is judging me; So in a line; different shades of us is revealed to different people and thus one person cannot simply generalize other's character by his own view. The characters in the novel deal with lot of pain. It makes one wonder if this is something that happens when one gets older? Does one look back into past and see if the decisions that one has made are correct or wrong? One tries to analyze one’s life, whether it has been the one that was once desired.? Clarissa Dalloway has not anymore remained Clarissa, but just Mrs. Dalloway; Mrs. Richard Dalloway. And today (The novel is one only a day) she recalls her time spent with two intimate relationships that she had had in her younger days – Sally and Peter. Peter over whom she had chosen to marry Richard because she felt that she could not match with his intimacy and that marrying him would be surrendering herself to him and with Richard, she felt much secured and safe. Peter has not been able to come out of this rejection yet and it bothers him even at this age. Sally with whom Clarissa was best friends is now so different from what she once was. In midst these central characters is Septimus who is fighting his bad war memories; death of his friend. Septimus is more of VW herself. She similar to him, hated the doctors speaking for her well being. She felt that doctors did not speak for her interest; infact nobody else but oneself can. Septimus’s death in the end of the book bothers Mrs. She feels connected to him. And reader can’t help notice the similarity between the two as well. Septimus , a lunatic and Clarissa, a cultured lady both value the possession and privacy of their souls. So in appearance to society they are opposite but in a psychological level they are so similar. She tries to understand his death and is happy that Septimus was able to save his beliefs and put his life away. Mrs. Dalloway becomes less afraid and returns back to the party she has hosted and returns to Sally and Peter who are desperately waiting to see her.